Moon Phase: Waxing gibbous with 98% of the Moon's visible disk illuminated. This was SJGR's first visit to this private house in Audubon Park, NJ. We were asked to come by the clients after they experienced hearing voices and footsteps as well as other audio phenomena, movement of objects, and seeing shadows. The physical evidence collected consisted of 8 EVPs, some of which appear to interact with investigators and their questions, and 1 positive photo with an energy orb anomaly in it. Less than 1% of the total photos was positive, which then cannot be considered into the overall evidence. However, 17 anomalous EMF and 1 motion sensor reading is highly significant. Something unseen to the naked eye with a heat signature of an object 40lbs or greater was detected by the passive infrared motion sensor, and 17 anomalous EMF readings which could not be traced to a natural source were detected by two different electromagnetic field meters. No anomalous temperature readings were obtained during the investigation. 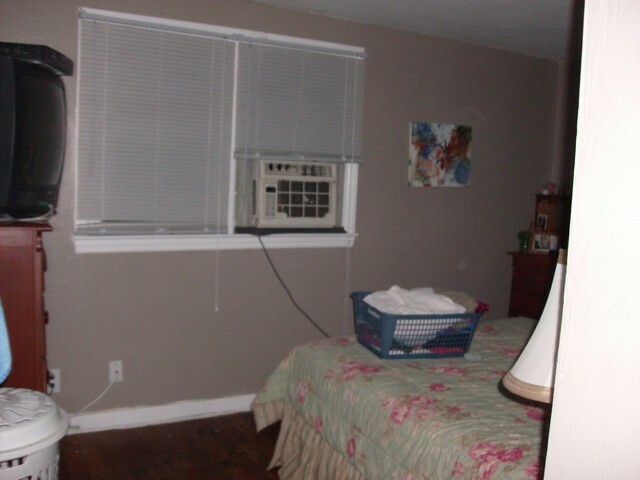 10:10pm - Investigator Pawlowski took this photo after Investigator Perley saw a shadow move near the air conditioner in the Master Bedroom.